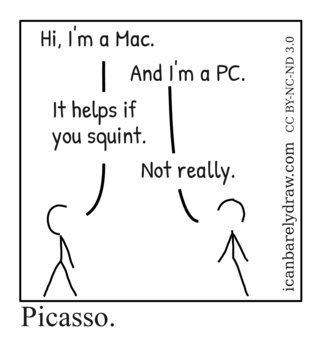 Two men are shown in stick figure form. Man 1 has only half a head, and one arm missing. Man 2 has only half a head, and one leg missing. Man 1: Hi, I'm a Mac. 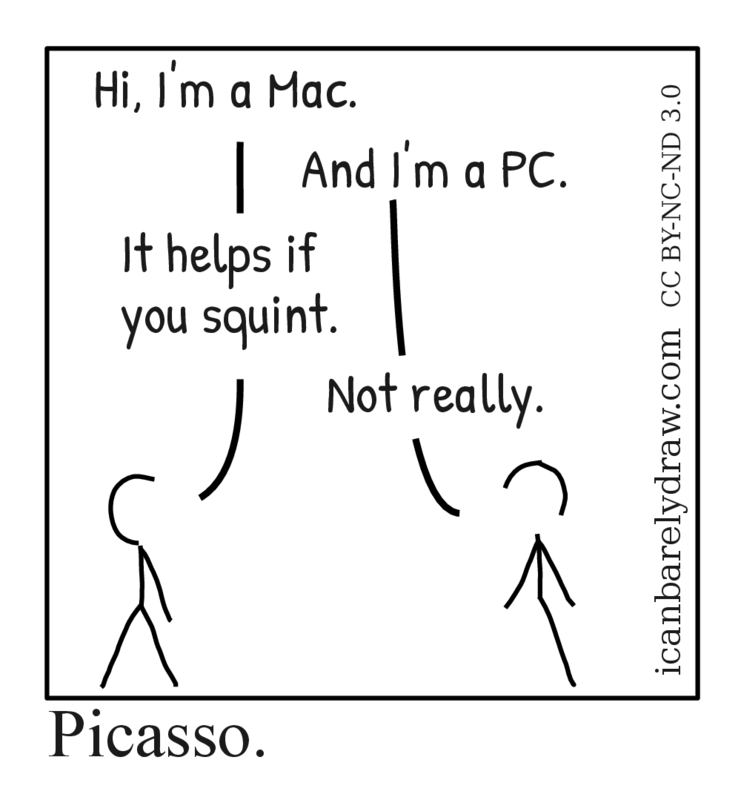 Man 2: And I'm a PC. Man 1: It helps if you squint.